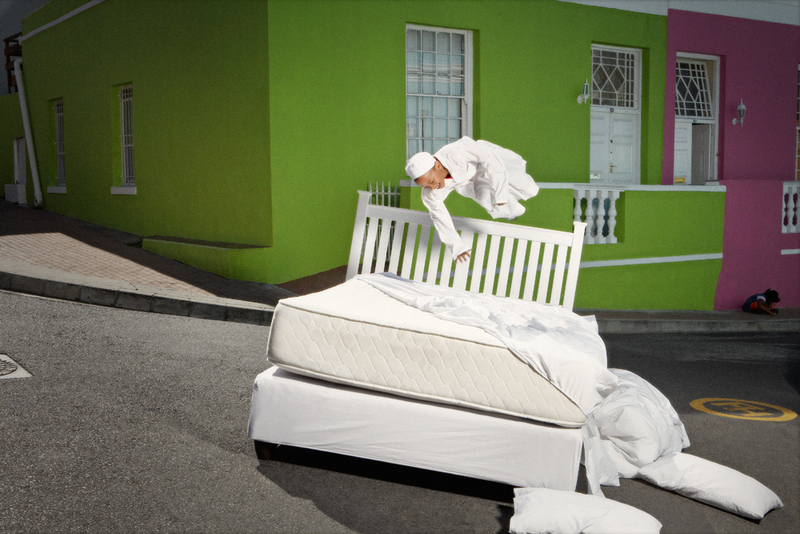 “Bed Jump” is a photo series conceptualized by Kelly Wainwright in 2009. She was playing with play, & needed to take her concepts to a much larger scale. After much thought of how to get all of Wall Street to dance a jig, &/or send tens of thousands of people down the interstate on bouncy balls, she concluded that world-wide BED-JUMPING from all walks of life, all in their own contexts, from Nobel Peace Prize winners (Archbishop Desmond Tutu) to local fishermen, to small-town church ladies was the obvious universal place to begin! 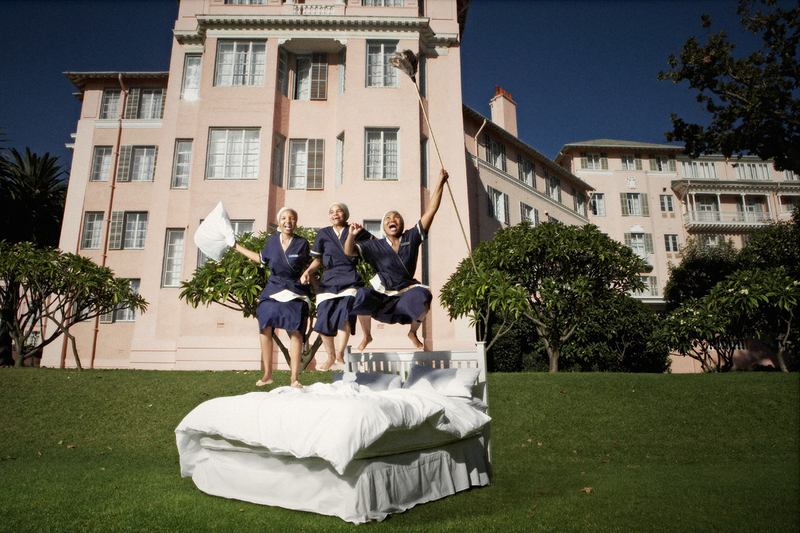 Take a quick look from some Bed Jump images taken in Cape Town, South Africa & Madison, Wisconsin here: Kelly worked with local photographers in the respective cities. Currently, Kelly is working on blasting her favorite images (new + old) dinosaur-scale on the sides of buildings, subway trains, & other rather unexpected public spaces. 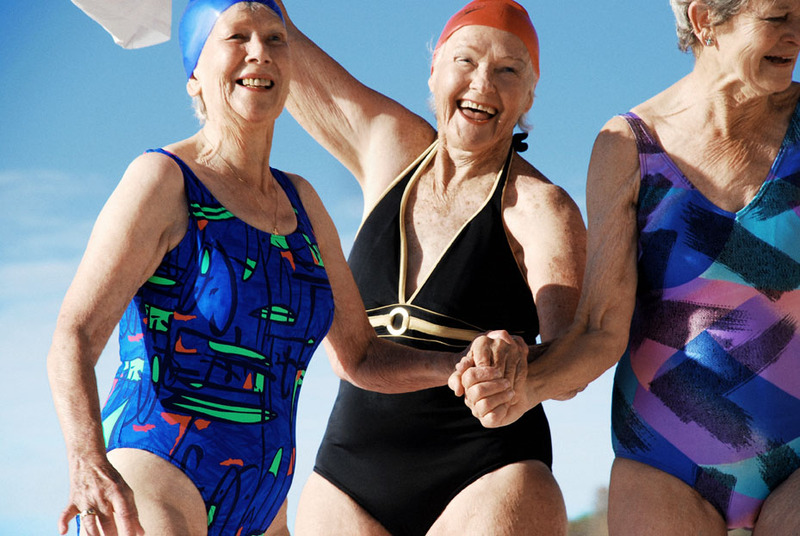 These images are not meant to be precious, but rather shared & inspired amongst humanity. A percentage of any sales related to the project will go to The Philani Maternal, Child Health and Nutrition Project based in Cape Town, South Africa. 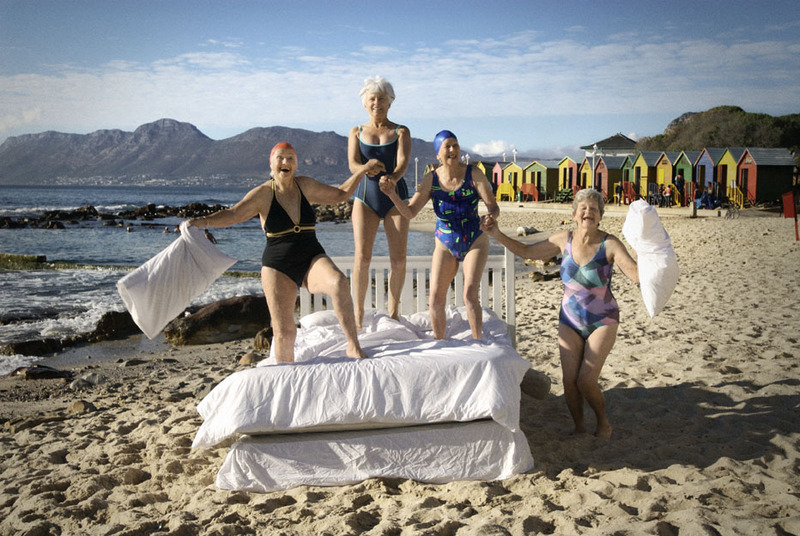 Check our Press Page to see some of BED JUMP in the Media! 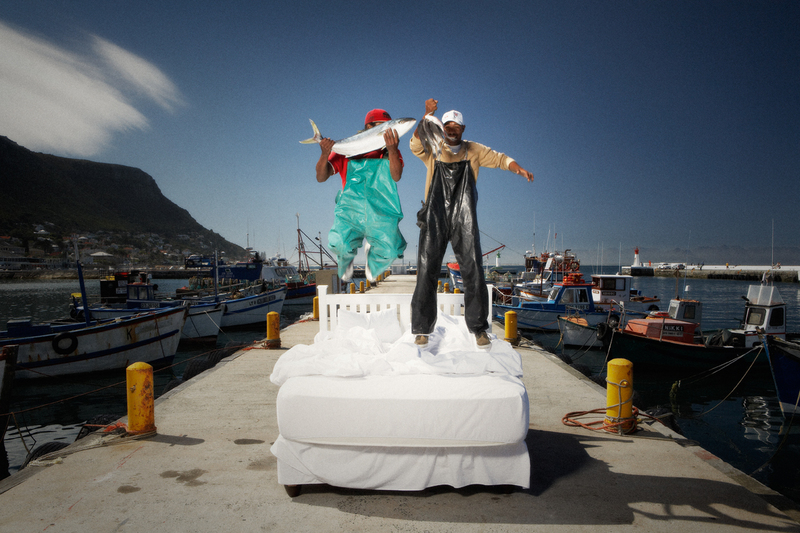 Kelly was a part of Cape Town’s INFECTING THE CITY with her BED JUMP project, which was a HUGE thrill & honor. She also had shows at EXPOSURE GALLERY & MISAEL SPACE before leaving the leaving the country to have her baby! Such fun, and so wonderfully creative!